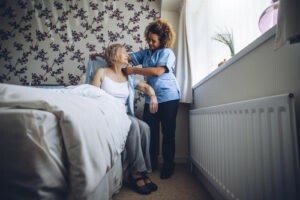 When aging seniors begin to have trouble doing things that they need to live a comfortable life, many individuals think the only option is assisted living or a family member live-in to offer general need care. But, there’s another option. 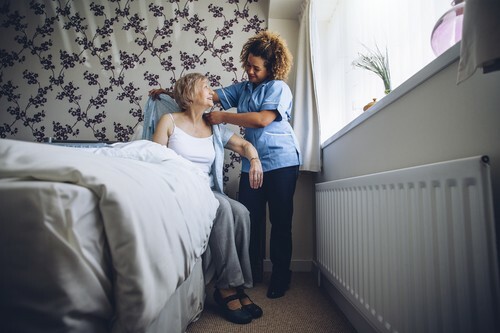 General senior home care services include help with daily tasks and routines so that your aging loved one doesn’t have to leave the comfort of their home and family for assisted living. General senior home care services can be available 24 hours a day, 7 days a week from the caregivers referred by Florida First Senior Home Care. You and your caregiver determine the caregiver’s schedule based on the needs of your loved one, so care can be offered whenever you need it most, or all hours or the day and night. Many people believe that aging at home isn’t the best option since a loved one will have to live alone while performing needed daily tasks. With the aid of a caregiver, aging at home is made a far more beneficial option. Caregivers can help with any daily activity that your loved one may struggle with being unable to perform themselves. Knowing that your loved one is offered assistance with general care will allow you to rest easy. All caregivers are trained, certified, and experienced. You can rest assured that your loved one will be treated professionally with any needs met. Many aging seniors don’t wish to leave their homes in their final years. They want to be able to live freely, entertain loved ones, and be surrounded by the environment they are most comfortable. General care makes this possible by allowing your aging loved ones to perform the tasks they need without leaving home to do so. Along with visiting your loved one’s home, caregivers can also provide general services at a healthcare facility or wherever they are.